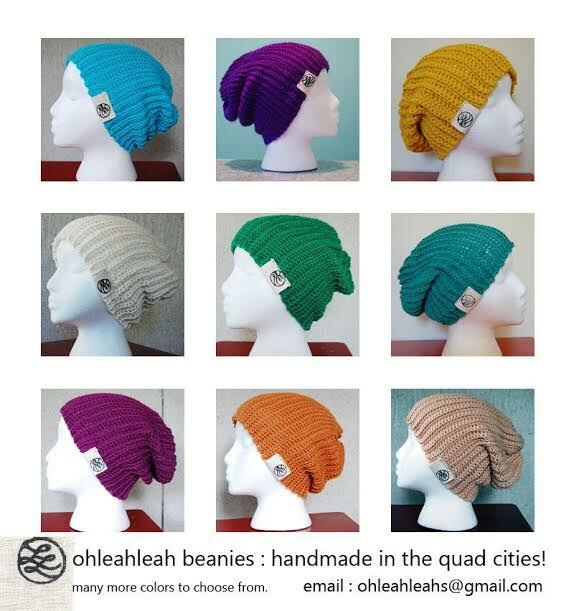 Leah isn’t just an busy crafter; she also has a an online hat business. “It goes back to the first Handmade City.” Handmade City is an annual craft show and expo where people showcase and sell their crafts. “In 2010 a friend and I came up with this idea to throw a cool craft show in the QC and so we planned the first one together (she is now completely in charge of the shows) but I was going to be selling stuff at the show too and needed to brand myself. That was when I came up with “OhLeahLeah.” OhLeahLeah is her etsy shop, where she sells toques between $15 to $25 depending on size. What led her to create OhLeahLeah was simple: necessity. She wanted a hat, but nothing available suited her needs. So, she made one herself. But there’s more to knitting or crocheting than buying lots of soft and fuzzy yarn and watching Netflix; it’s also inexpensive and self-prescribed therapy. Knitting or crocheting produces more than just a scarf or hat; it also produces endorphins and decreases cortisol. Cortisol is the stress hormone your brain produces. Many other people have reported benefits from yarn crafts, myself included. Yarn crafts have many therapeutic benefits, as reported by both the Craft Yarn Council and Stitchlinks.com. Yarn Alive, a knitting group in Shichigahama, Japan, was founded after the earthquake and tsunami in 2011. The natural disasters destroyed the homes of all those in the group. Women who suffered from anorexia nervosa reported that they improved after being taught to knit and were given yarn, according to a 2009 report in Eating and Weight Disorders. Knitting also helped a group of oncology nurses to destress during their shifts. 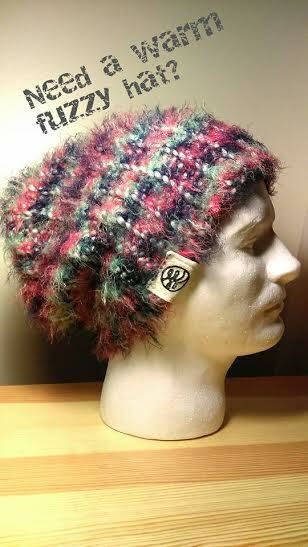 But yarn doesn’t just help calm you; it also improves your cognition. A study of over 1000 seniors showed those who engaged in some sort of mental activity, whether reading, crosswords, or crafts, had reduced cognitive impairment compared to those who did not. The Hub, a local specialty grocery store and cafe, offers knitting classes, though none are currently scheduled. There are also many knitting/ crochet groups in the QC area that meets in libraries or cafes. Knitting, crocheting, or other yarn work has paid off for Leah, and other crafters in the Quad Cities. There’s many benefits to working with yarn beyond just the therapeutic ones; a lot of people find it just palin fun. Don’t be afraid to try your hand at something new; it might surprise you how much better you feel after.